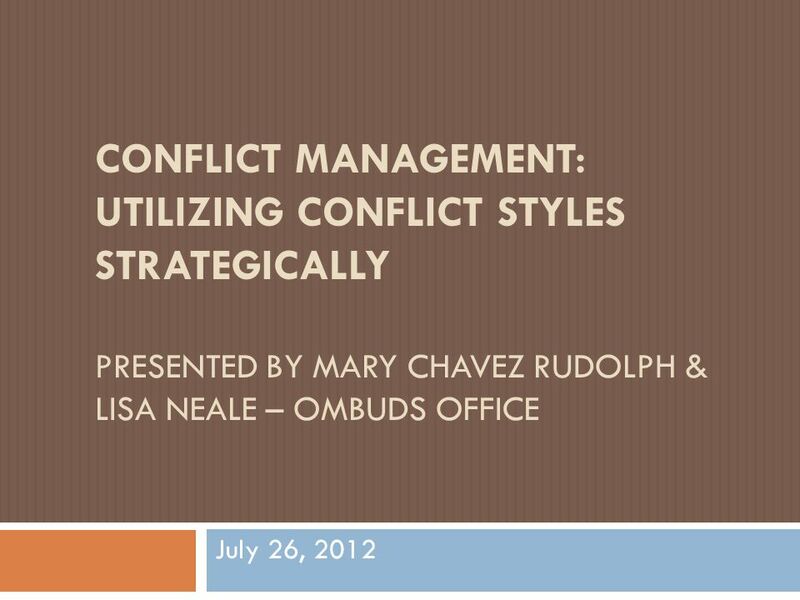 CONFLICT MANAGEMENT: UTILIZING CONFLICT STYLES STRATEGICALLY PRESENTED BY MARY CHAVEZ RUDOLPH & LISA NEALE – OMBUDS OFFICE July 26, 2012. 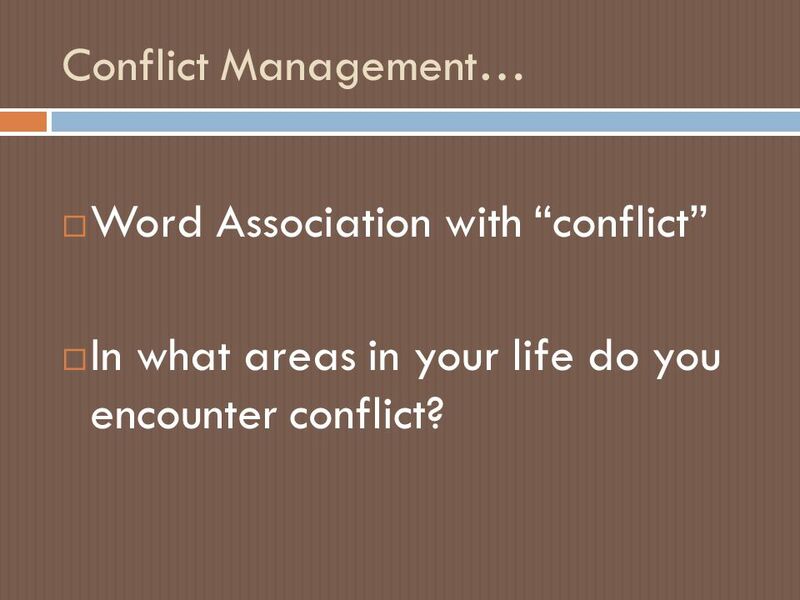 4 Conflict Management…  Word Association with “conflict”  In what areas in your life do you encounter conflict? 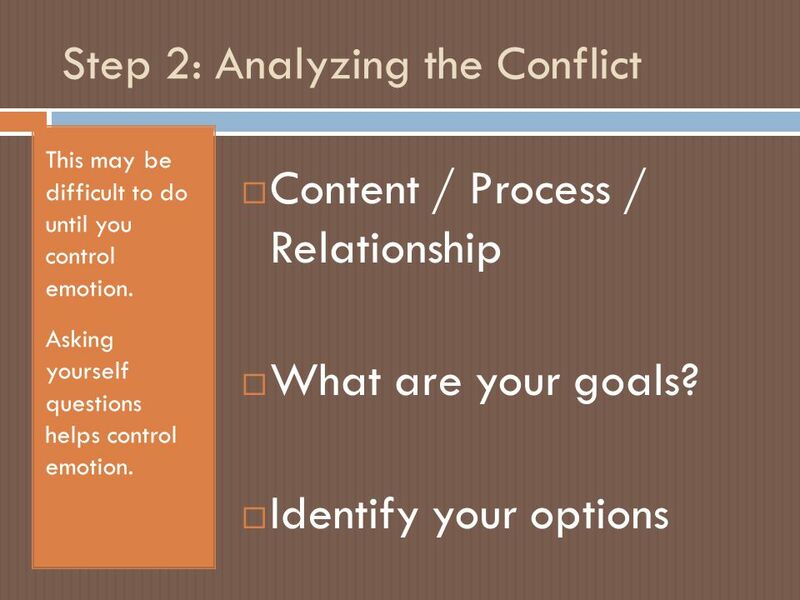 6 Step 1: Managing Emotion How did you feel in your last conflict? Mad, sad, confused, fearful? 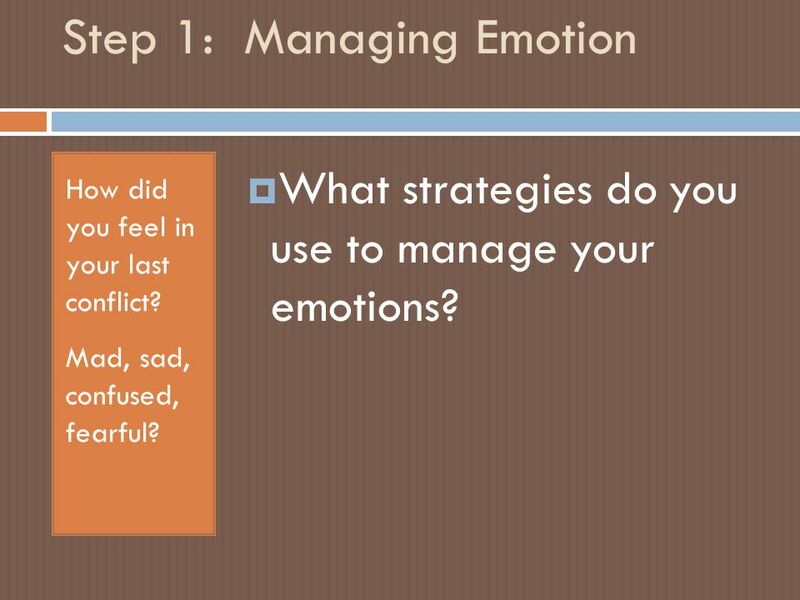  What strategies do you use to manage your emotions? 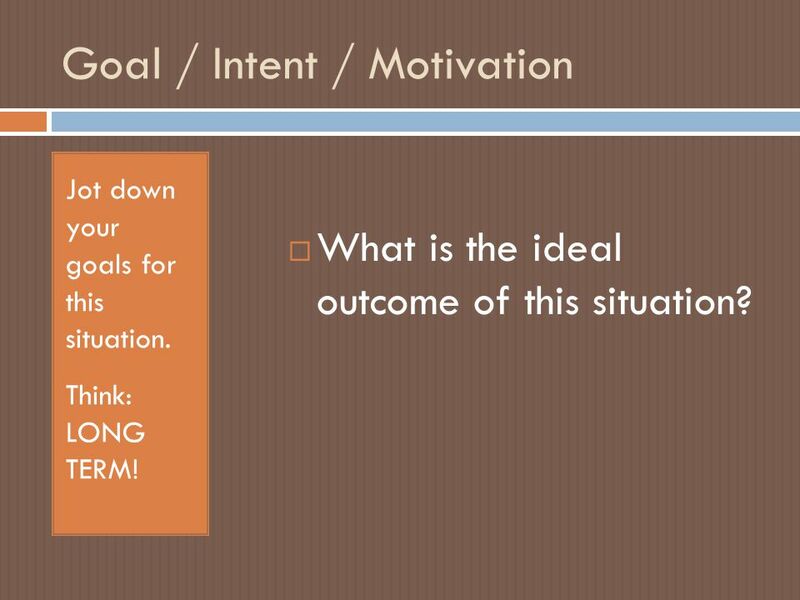 9 Goal / Intent / Motivation Jot down your goals for this situation. Think: LONG TERM!  What is the ideal outcome of this situation? 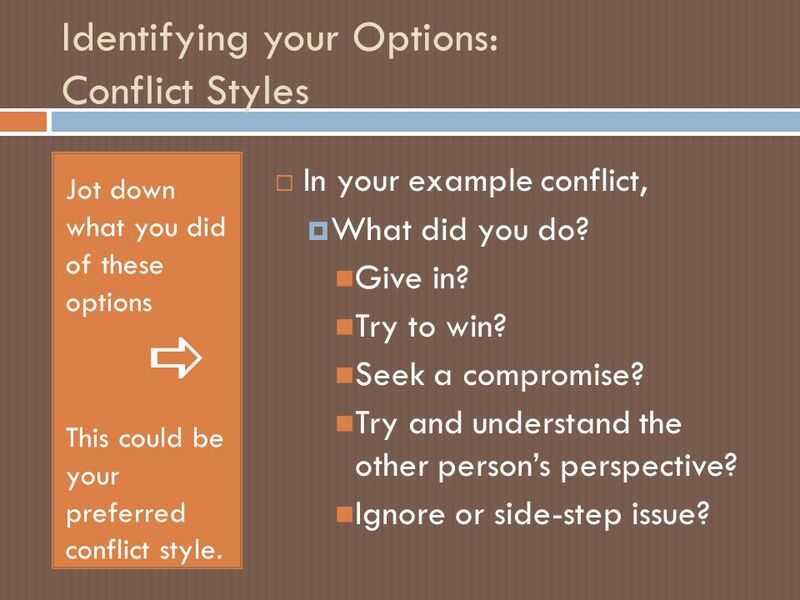 10 Identifying your Options: Conflict Styles Jot down what you did of these options  This could be your preferred conflict style.  In your example conflict,  What did you do? Give in? Try to win? 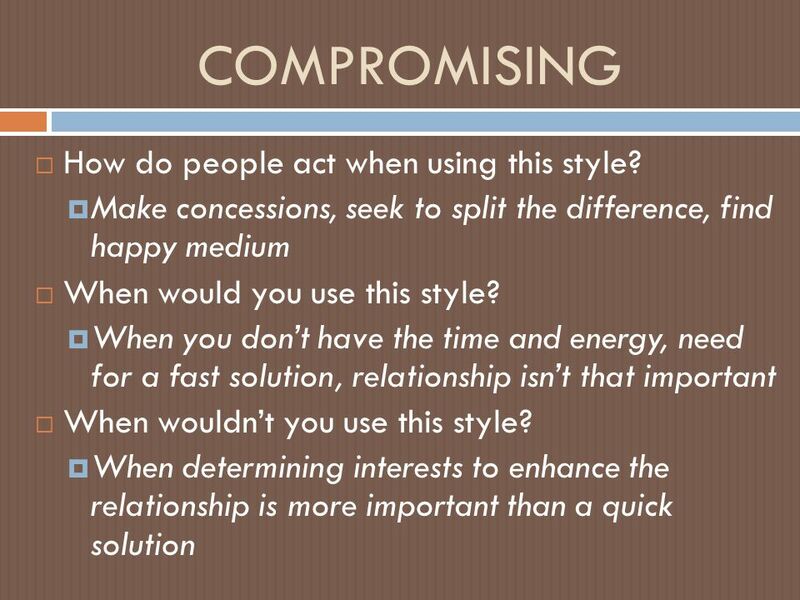 Seek a compromise? Try and understand the other person’s perspective? Ignore or side-step issue? 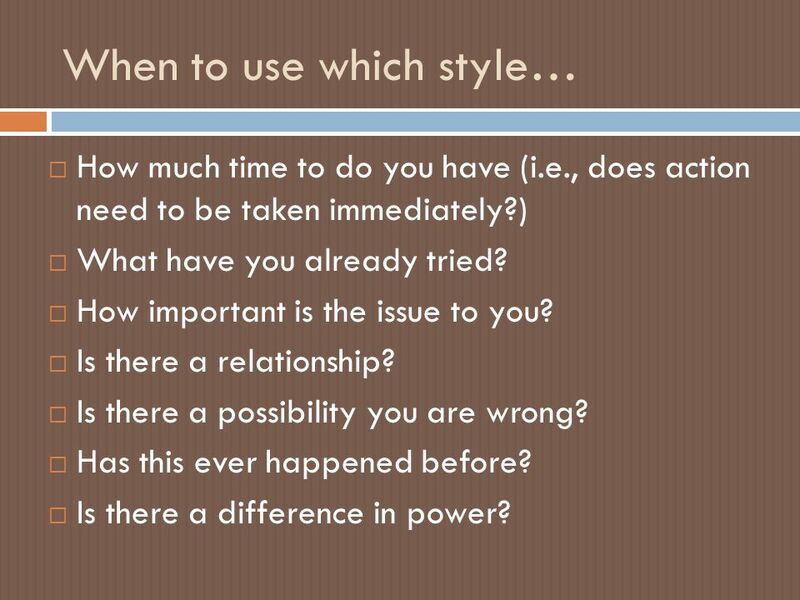 18 When to use which style…  How much time to do you have (i.e., does action need to be taken immediately?)  What have you already tried?  How important is the issue to you?  Is there a relationship?  Is there a possibility you are wrong?  Has this ever happened before?  Is there a difference in power? 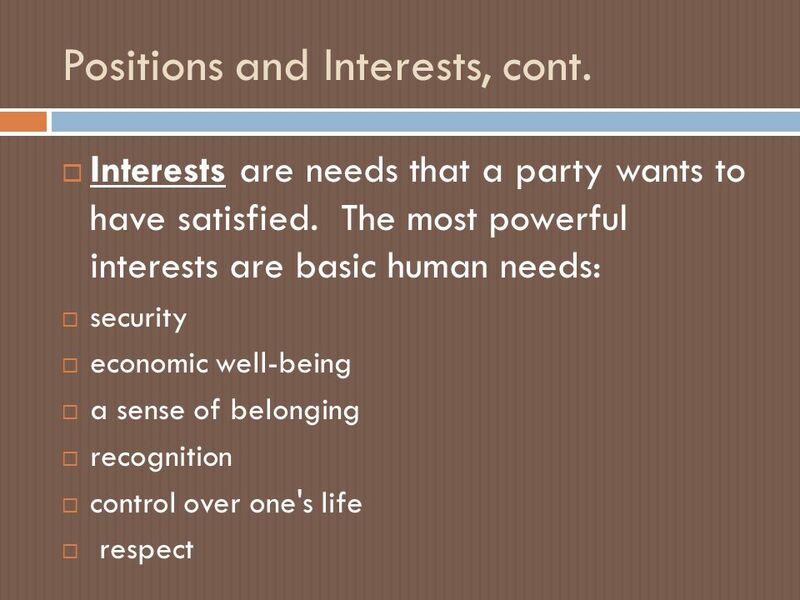 20 Positions and Interests  Positions are specific proposals or solutions that a party suggests to meet his/her interests or needs. A position is usually only one solution to a given problem. In many cases, that solution is satisfactory only to the person suggesting it. 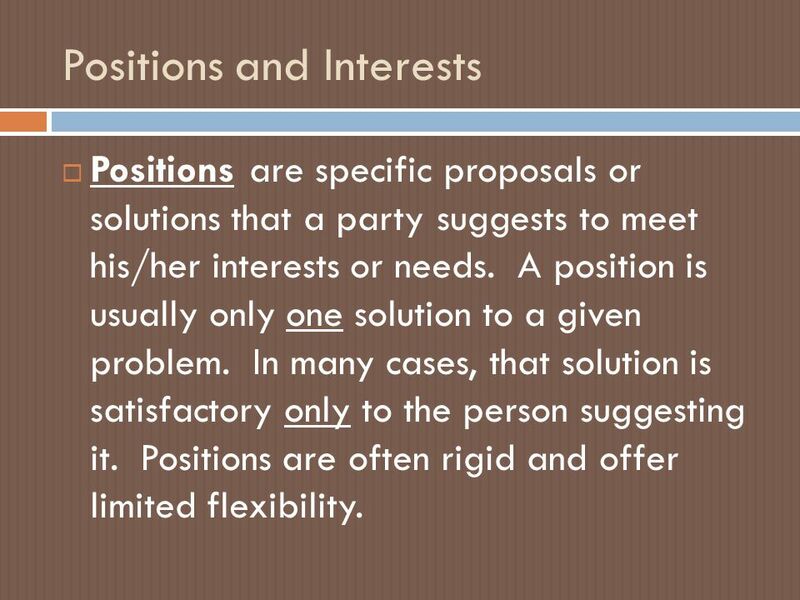 Positions are often rigid and offer limited flexibility. 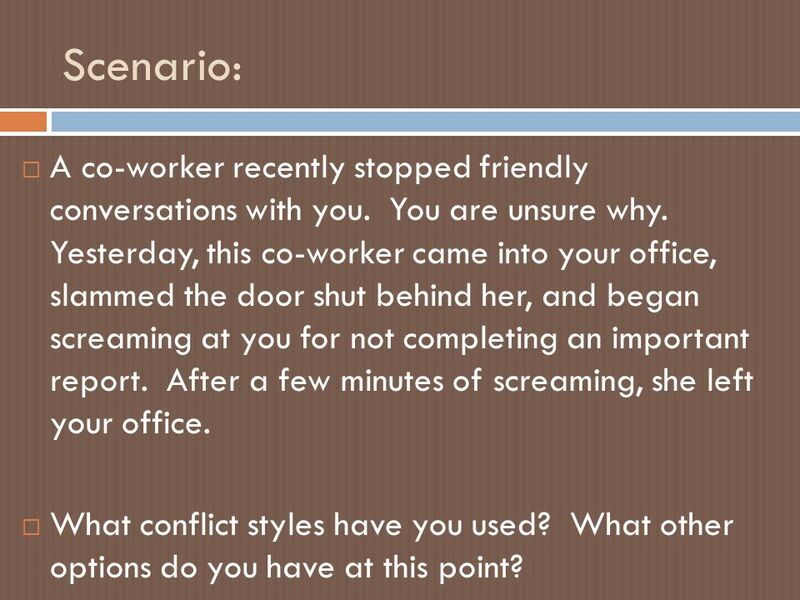 22 Scenario:  A co-worker recently stopped friendly conversations with you. You are unsure why. 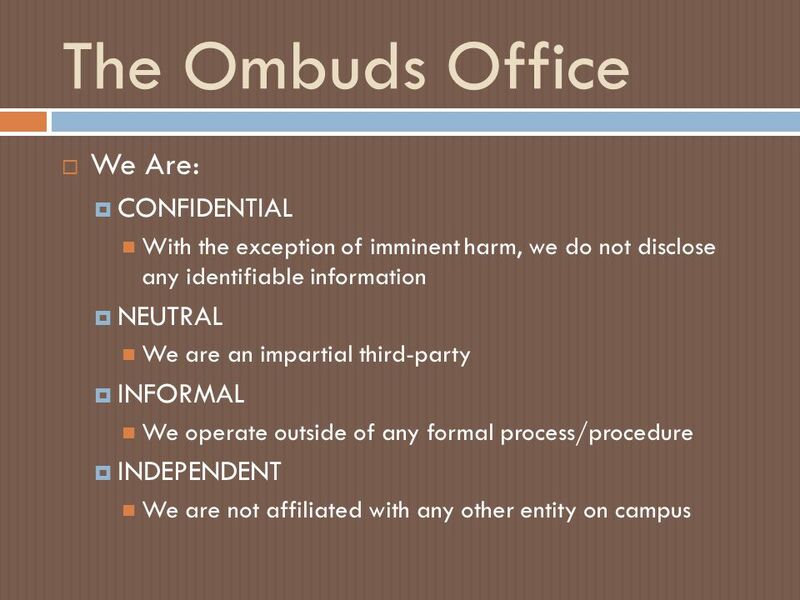 Yesterday, this co-worker came into your office, slammed the door shut behind her, and began screaming at you for not completing an important report. After a few minutes of screaming, she left your office. 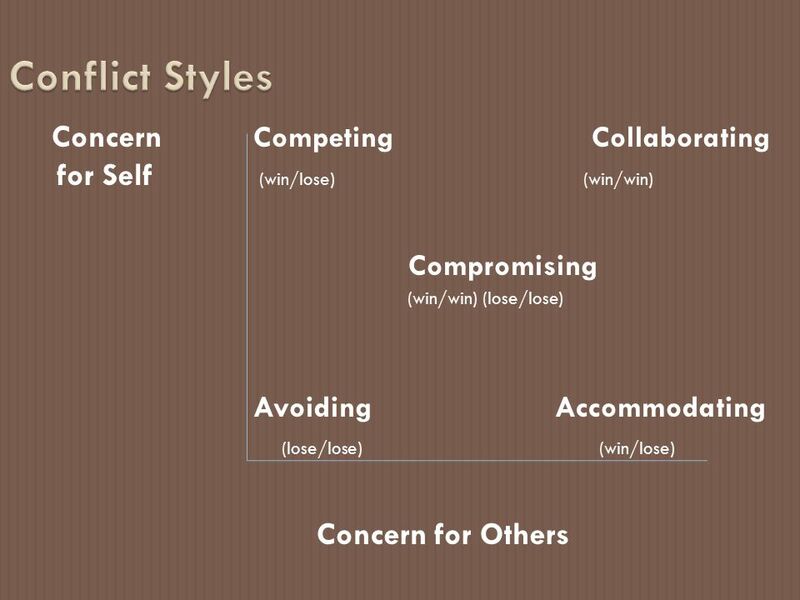  What conflict styles have you used? What other options do you have at this point? 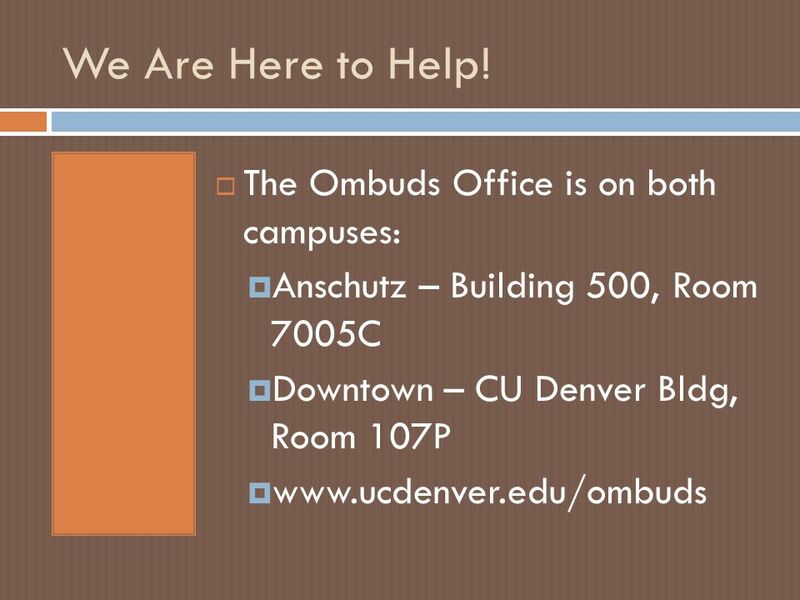 Download ppt "CONFLICT MANAGEMENT: UTILIZING CONFLICT STYLES STRATEGICALLY PRESENTED BY MARY CHAVEZ RUDOLPH & LISA NEALE – OMBUDS OFFICE July 26, 2012." 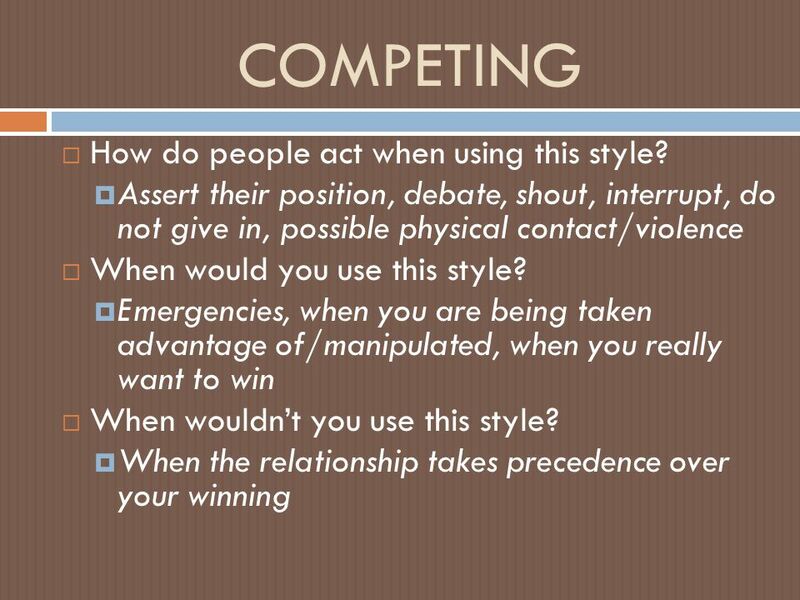 How Do you operate in conflict? 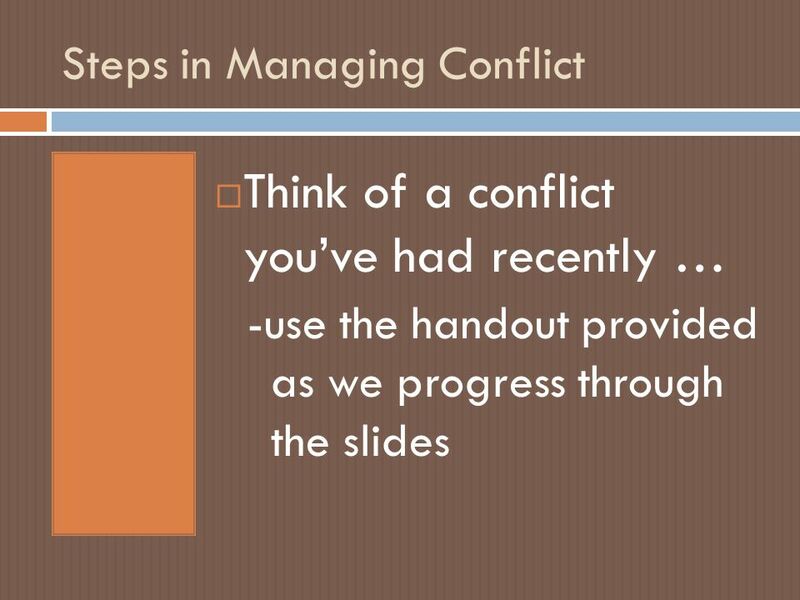 Chapter 12 Conflict and Negotiation. “Whenever you’re in conflict with someone, there is one factor that can make the difference between damaging your. 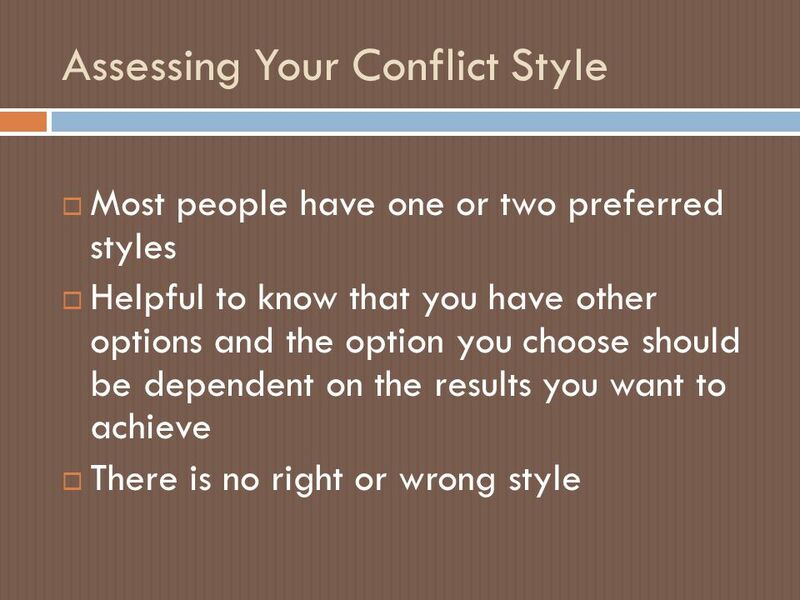 Thomas-Kilmann Conflict Mode Instrument The TKI indicates your general preferred approach to conflict resolution Two dimensions: –Assertiveness (satisfy. 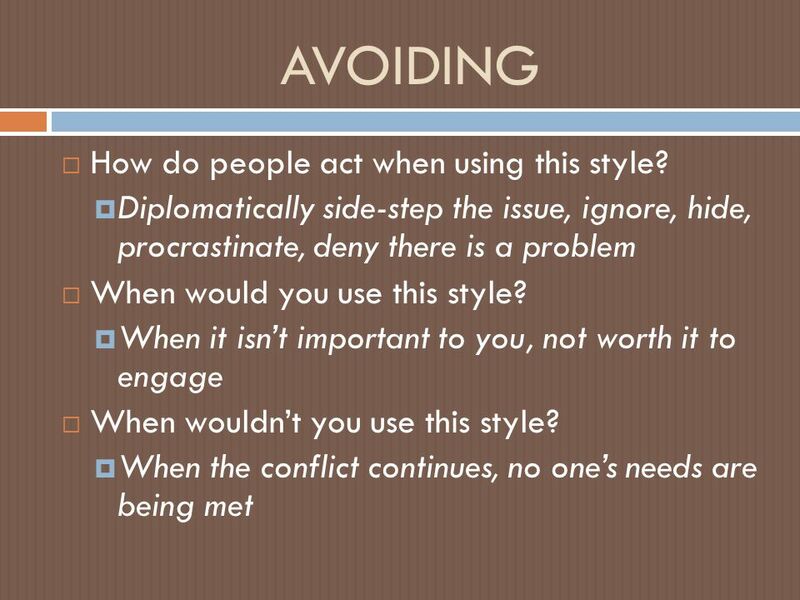 Art of Negotiation So you want to be a good negotiator? 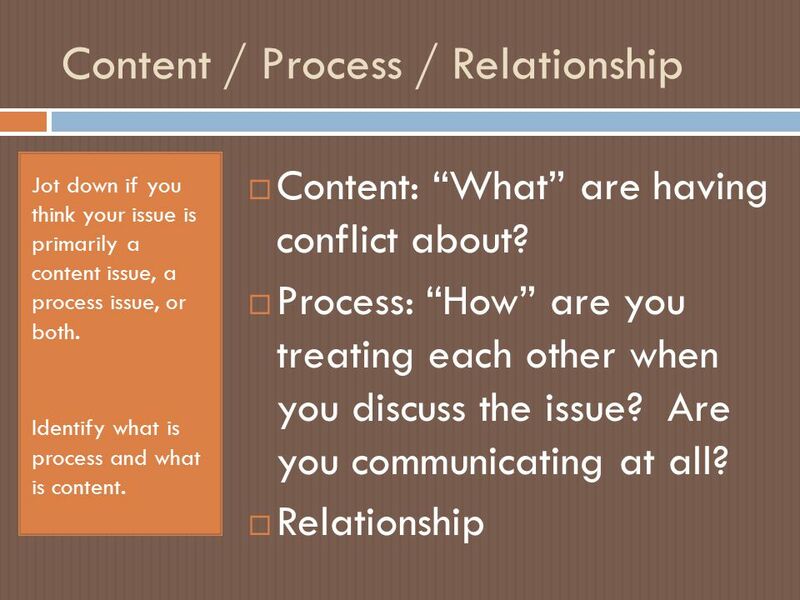 Project Team Development Constructive Conflict Resolution Based on material made available by John Bennedict, Bell South. 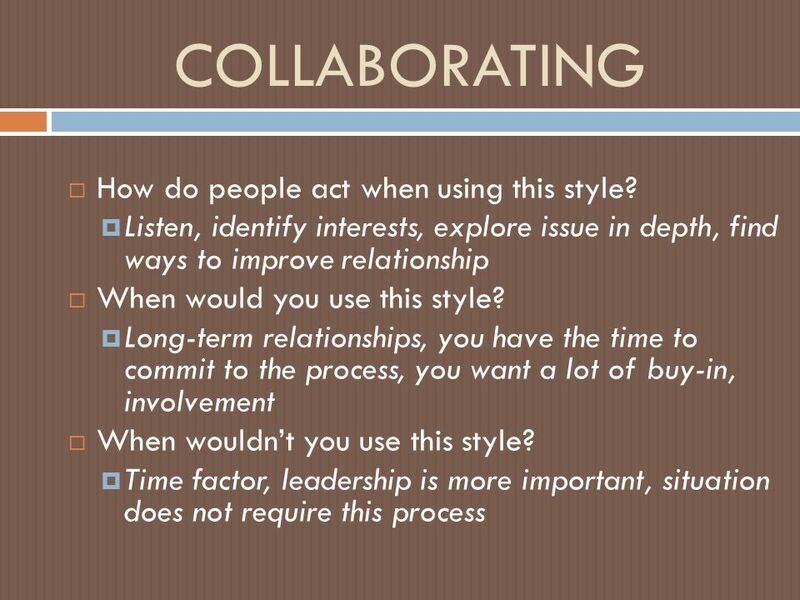 Conflict Resolution Training for Supervisors. 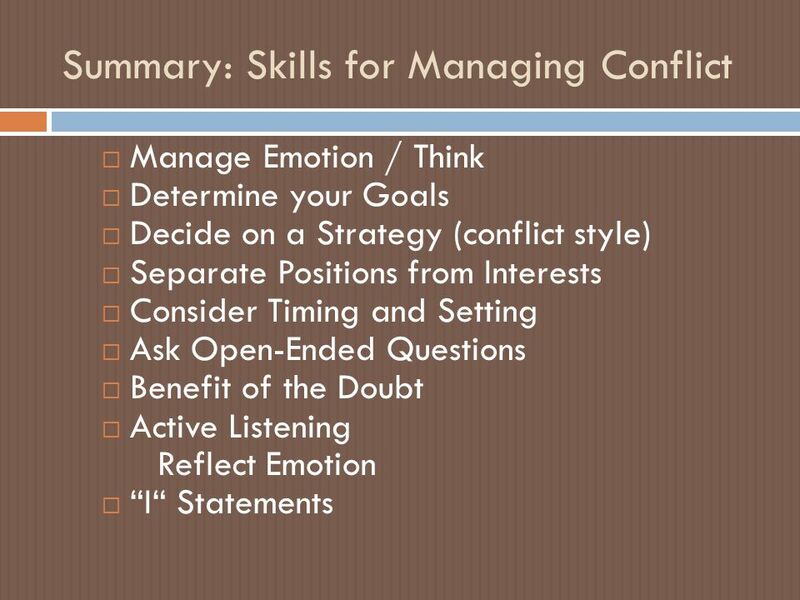 ©SHRM Introduction “Whenever you're in conflict with someone, there is one factor that can make the. 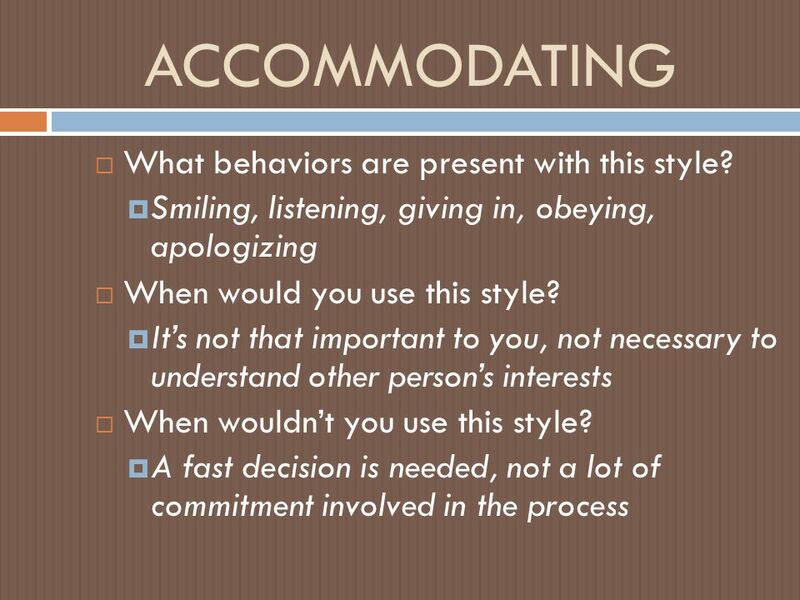 Conflict Resolution Training for Supervisors. 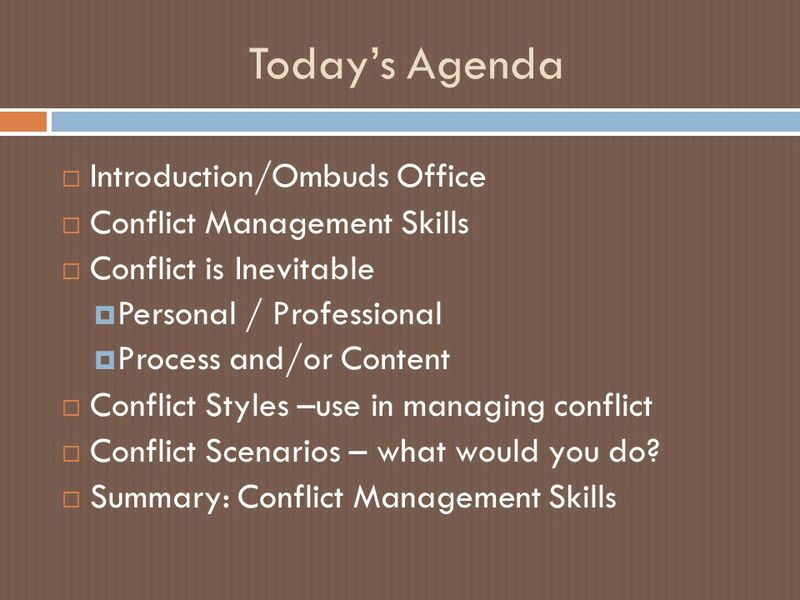 ©SHRM 20082 Introduction “Whenever you're in conflict with someone, there is one factor that can make the.